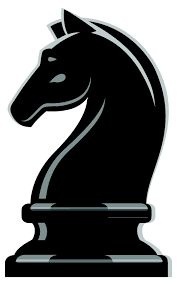 "I am very pleased with my son’s progress which is a direct result of Dark Knights Chess’ coaching. His coach, Christian, is an extremely knowledgeable chess coach and has been able to impart that knowledge effectively to my son. Not only am I pleased with how knowledgeable these coaches are, but I love how attentive they are during the tournaments. Whenever my son gets out of a round, his coach will go check up on him to go over his game and strategize on the remaining rounds. In just a couple of months, my son’s rating has improved significantly, and it is all thanks to his coach and this organization." My daughter loves the camps they do. They are challenging yet fun. These gentlemen have a true talent to teach chess to kids. My kid is very sensitive to negative energies and the Dark Knights are winners and teachers!!! Thank you for helping my son develop his game. One of the best chess clubs in the RGV! Love their Friday night chess tournaments!